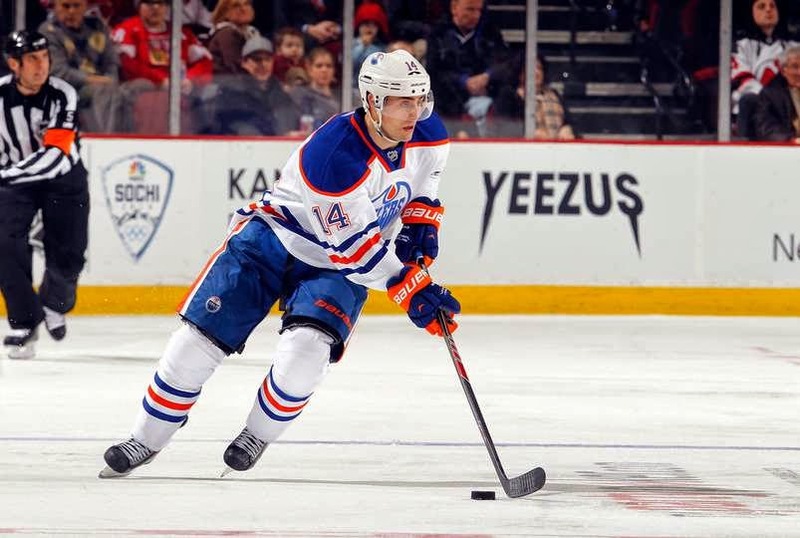 Bruins going after Jordan Eberle? Per a report from csnne.com's Bruins insider Joe Haggerty, the Boston Bruins are interested in trading for Jordan Eberle. Eberle has played his entire NHL career in Edmonton and while there is a lot of young talent on the Oilers, the results have been very poor. Edmonton has been mostly a cellar dweller in the NHL since Eberle joined in 2010 and something has to give. For those of you who don't know who Jordan Eberle is, go on youtube and search "Jordan Eberle World Junior Hockey Championships". You may also come across similar videos with guys named Jonathan Toews, PK Subban, John Tavares, and Carey Price. These are now some of the top players in the NHL. Eberle, like the other players mentioned, was a clutch performer in this tournament and has not had a chance to repeat his heroics in the NHL. The Bruins are the perennial contender Eberle could thrive on. During his five years in the NHL, Eberle has averaged 24 goals and 55 points. He is a right winger with a strong finish; something the Bruins' first line desperately needs right now. According to Haggerty's report, "The Bruins and Oilers have conducted an ongoing trade conversation going back to the beginning of summer involving Johnny Boychuk, and again right before this season’s opening with Chris Kelly on Edmonton’s radar." Clearly the Bruins see Eberle as a good fit. With Boychuk traded to Long Island, that leaves Chris Kelly as a possible trade piece. The Bruins also have NHL caliber prospects and draft picks from the Boychuk trade to sweeten the pot for Eberle. The price will be high for the twenty-four-year-old, but if the Bruins want to try and solve their current problems, they should use what they have to make a strong push. Early season struggles coupled with strong performances from former Bruins Johnny Boychuk and Tyler Seguin have increased the pressure on Boston's GM Peter Chiarelli. The lack of a top-line winger for Milan Lucic and David Krejci make that pairing much less effective and no one else on the current roster is stepping up. If Chiarelli does not turn the assets from the Boychuk trade into a productive player for his team, he won't be able to live it down. Follow myself (kevclance19) and every writer on BruinsLife.com (@BruinsLife) for all of your Bruins coverage.